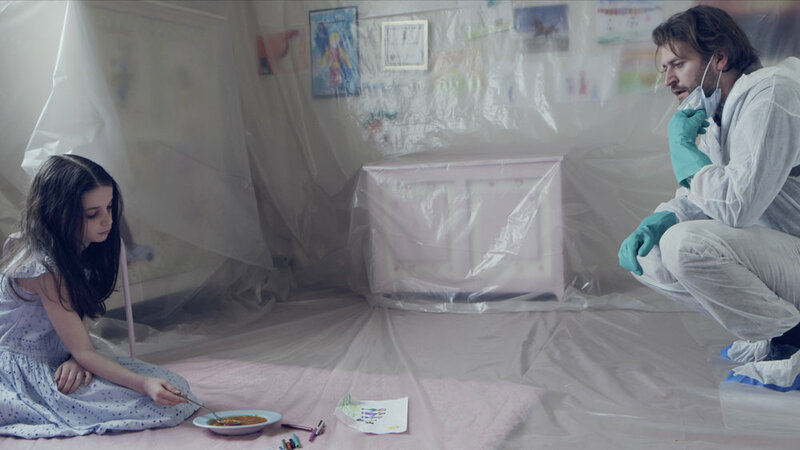 CATCH is a fictional short film about a father and daughter quarantined in their home in a post-antibiotic world. TO FIND OUT WHAT YOU CAN DO TO HELP AVOID A POST-ANTIBIOTIC FUTURE, SCROLL DOWN. TO FIND OUT ABOUT screenings and OTHER catch news, sign up to the CATCH mailing list - click here. TO FIND OUT ABOUT THE SCIENCE BEHIND CATCH - CLICK HERE. 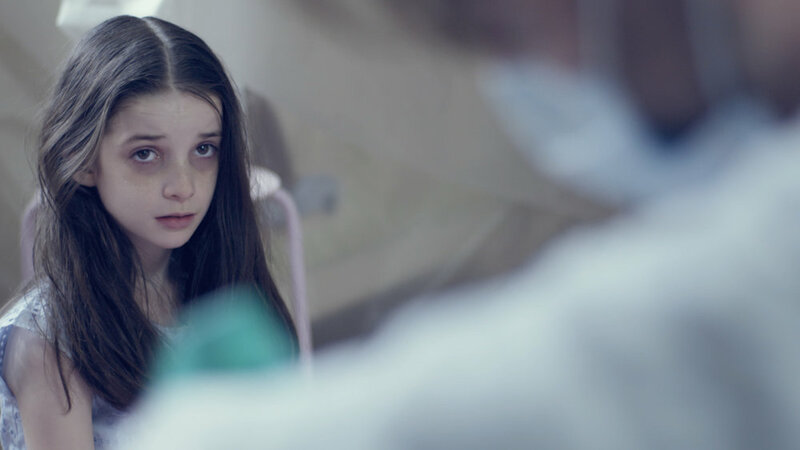 CATCH is set in a near future world where antibiotic resistance has made antibiotics useless. Although that is a real potential future, we can work now to stop that future from happening. Always wash your hands when handling and preparing food to avoid cross-contamination, especially between raw and ready-prepared food. Never pressure your doctor for antibiotics, as antibiotics can only treat bacterial infections. Antibiotics won't cure viral infections, like a cold! Always finish your prescribed course of antibiotics. Never stop taking your antibiotics before the course is finished as prescribed - even if you feel better, see it through to the end. Raise awareness about the issue of antibiotic resistance, and what we can do to combat it. Talk to your friends, your family, your colleagues, and your local politicians! Take a look at the Antibiotic Guardian website - and make a pledge to do your bit to combat antibiotic resistance. Explore the work of charities like Antibiotic Research UK. 10.01.18 - CATCH will screen at the NI Science Festival in Belfast, Northern Ireland, as part of an event called 'The Antibiotic Apocalypse' on 21st February 2018, along with panel discussions from some of the people taking on the problem of antibiotic resistance, hands-on agar art, and the Longitude Prize's 'Superbugs' game. CLICK HERE for more info. 04.01.18 - CATCH's trailer will introduce two sessions titled 'Bugs & Drugs: The Resistance Wars' on 24th March 2018 in Brisbane and Toowoomba, Australia, as part of World Science Festival Brisbane. CLICK HERE for more info. 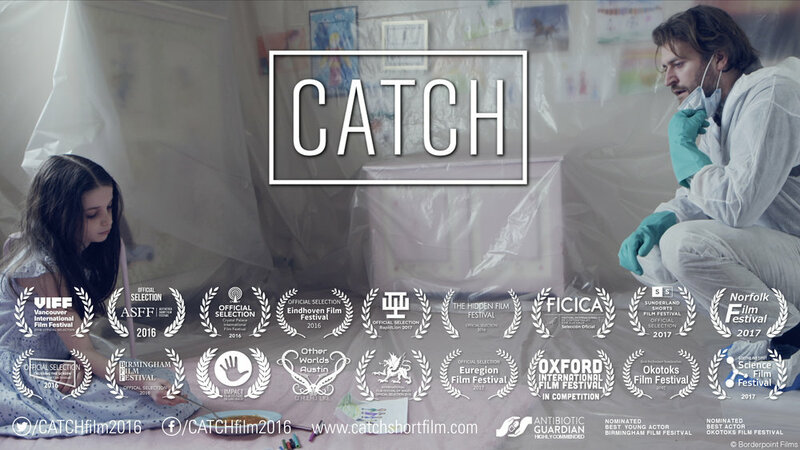 12.11.17 - CATCH will screen twice at the Federation of Infection Societies Annual Conference on 30 November - 2 December 2017 in Birmingham, and at the Royal Pharmaceutical Society in Wales Antibiotic Resistance event on Thursday 16th November, and also in Southampton at an event organised by NIHR CLAHRC Wessex Tuesday 14 November, as part of Southampton Film Week. 02.10.17 - After it's successful festival run, CATCH will be released for free online at www.catchshortfilm.com on 13th November 2017 at 00:01GMT - the start of World Antibiotics Awareness Week. 09.09.17 - We are over the moon to announce that CATCH will reach a whole new continent - screening in South East Asia in Malaysia and the Philippines with the Goethe Science Film Festival. The screenings will take place on dates TBC in October-December. For more information, CLICK HERE. 07.07.17 - CATCH will screen at Crossing the Screen on Tour in London on 29th and 30th July, and also at Norfolk Film Festival on 29th July. For more info, click the name of the festival! 08.06.17 - We are delighted to announce that Borderpoint Films won Highly Commended for the Antibiotic Guardian Award for Community Communication, for CATCH. For more information, CLICK HERE. 09.05.17 - CATCH has been selected to screen at the inaugural Okotoks Film Festival in Alberta, Canada, next month. What's more, Henry Douthwaite has been nominated by the festival programmers for their Best Performer award for playing Tom! For more info, CLICK HERE. 27.04.17 - CATCH will have it's South American premiere at Cine a la Calle short film festival in Barranquilla, Colombia! The festival runs from 9-13th May. For more info, CLICK HERE. 21.03.17 - CATCH has been selected for competition at Oxford International Film Festival, which will take place from 4th-6th May 2017. For more information on OXIFF, CLICK HERE. CATCH will also screen at Crossing the Screen Film Festival "On Tour" in Eastbourne on 28th and 29th April. For more information on Crossing the Screen, CLICK HERE. 22.02.17 - CATCH has been selected to screen at CineSud's Euregion Film Festival in Herleen in The Netherlands. The festival runs from 16-19th March 2017, and CATCH will screen in Short Film Block 3 on Saturday 18th March. For more information, CLICK HERE. 08.02.17 - Kicking things off in 2017 - CATCH has been selected for the brilliant Sunderland Shorts Film Festival, which runs from 4-6th May. More information on screening times soon. In the meantime, check out the SSFF website HERE. 04.12.16 - We are happy to announce that CATCH has been selected for Johannesburg's RapidLion International Film Festival, in South Africa on 4-13th March 2017! For more information, CLICK HERE. 29.11.16 - CATCH got a surprise secret screening at the Hidden Film Festival in London on Monday 28th November! 19.11.16 - We are happy to announce that CATCH has been selected for the International Film Festival of Wales, in CATCH Co-Writer/Director Dom's home nation! The screening will take place on Saturday 26th November at Cineworld in Cardiff. CLICK HERE for more details. 18.11.16 - Today, on European Antibiotic Awareness Day (click HERE for more information), CATCH has a two-page article in Redbrick, The University of Birmingham's student newspaper, featuring an in-depth interview with Co-Directors Paul Cooke and Dom Rees-Roberts. Read the whole article online by clicking HERE. 13.11.16 - We are delighted to announce that CATCH will get it's US Premiere at Other Worlds Austin SciFi film festival in Austin, Texas! The festival takes place from the 1st-4th December 2016. More details soon. 06.11.16 - CATCH has won a "Special Mention" award at Crossing the Screen International Film Festival in the Narrative strand. 02.11.16 - CATCH's continental European premiere will be at Eindhoven Film Festival in the Netherlands. The festival runs from 1-3rd December, and we will have more details of the screening date, time and place, very soon. 22.10.2016 - We are ecstatic that Lollie McKenzie has been nominated for the BEST YOUNG ACTOR award at this year's Birmingham Film Festival for her performance as Amy in CATCH. For more info, and details of CATCH's screening at the festival on 26th November, CLICK HERE. 22.10.2016 - CATCH has been selected to screen at the Impact Film Festival for Lung Health at this year's International Union Against Tuberculosis and Lung Disease conference in Liverpool from October 26-29th! Hundreds of health professionals, researchers and policy-makers will get a chance to see and engage with the film. We are delighted at this opportunity to share CATCH with the scientific community working on the issue at the film's core - antibiotic resistance. CLICK HERE fore more details. 16.10.2016 - CATCH has been selected for screening at Birmingham Film Festival on Saturday 26th of November! CLICK HERE for more details and tickets. 08.10.2016 - CATCH has been selected for competition in the inaugural Crossing the Screen International Film Festival in Eastbourne. The festival will take place on 4-6th November 2016, and CATCH will screen on the Sunday 6th. More details coming soon. 07.10.2016 - Producer Steve Overs talks about CATCH with morning host Martin Strong on Vancouver's Roundhouse Radio 98.3FM at 7:45am, ahead of the world premiere of CATCH at VIFF 2016. LISTEN AGAIN - CLICK HERE. 01.10.2016 - Festival number three! CATCH has been officially selected for the brilliant Crystal Palace International Film Festival 2016 in London. 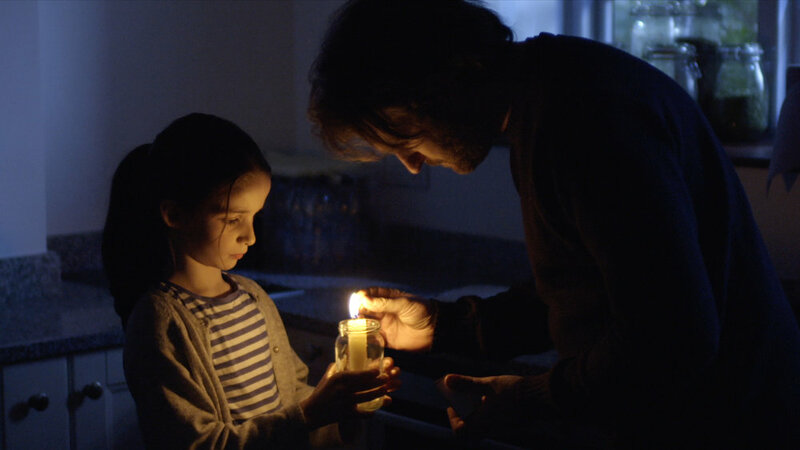 CATCH will be screened on Saturday 12th November as part of the festival's Horror and Sci-Fi night. CLICK HERE for more details and tickets. 23.09.2016 - We're thrilled to announce that CATCH has been officially selected for screening at the BAFTA-qualifying Aesthetica Short Film Festival 2016 in York, UK! CLICK HERE for the full festival programme, and details of times and venues for CATCH's three screenings on November 4th, 5th & 6th. 16.09.2016 - We are delighted to announce that CATCH has been officially selected for its WORLD PREMIERE at Vancouver International Film Festival 2016! CATCH will be screened on October 7th & 9th as part of the "Ain't Love a Many-Splendoured Thing?" strand. CLICK HERE for more details and tickets. 05.06.2016 - The Kickstarter rewards have been posted to all of our backers! 14.03.2016 - The film is complete! We're now gearing up for festival submissions and promotion. 05.10.2015 - We successfully funded CATCH's post-production on Kickstarter, hitting 112% of our funding target. 21st February 2018 - 'The Antibiotic Apocalypse' event at NI Science Festival. 1st & 2nd December 2017 - Federation of Infection Societies Annual Conference, Birmingham. 16th November 2017 - Royal Pharmaceutical Society in Wales Antibiotic Resistance event. 14th November 2017 - University of Southampton, as part of Southampton Film Week. October-December 2017 - Goethe Science Film Festival, The Philippines & Malaysia. Details HERE. 29th & 30th July 2017 - Crossing the Screen Film Festival on Tour, London. 29th July 2017 - Norfolk Film Festival, Tuddeham. For details, CLICK HERE. 14th June 2017 - Warwick AMR Public Engagement Evening, University of Warwick. 3rd June 2017 - Okotoks Film Festival, Alberta, Canada. For details, CLICK HERE. 11th May 2017 - SOUTH AMERICA PREMIERE - Cine a la Calle, Barranquilla, Colombia. For details, CLICK HERE. 6th May 2017 - Oxford International Film Festival, UK. For details, CLICK HERE. 4th May 2017 - Sunderland Shorts Film Festival, UK. For details, CLICK HERE. 28th-29th April 2017 - Crossing The Screen Film Festival "On Tour", Eastbourne, UK. For details, CLICK HERE. 16th-19th March 2017 - Euregion Film Festival, Herleen, Netherlands. For details, CLICK HERE. 4th-13th March 2017 - AFRICAN PREMIERE - RapidLion International Film Festival, Johannesburg. Details, CLICK HERE. 10th December 2016 - Eindhoven Film Festival, The Netherlands. For details, CLICK HERE. 2nd December 2016 - US PREMIERE - Other Worlds Austin, TX, USA. For details, CLICK HERE. 28th November 2016 - The Hidden Film Festival, London. For details, CLICK HERE. 26th November 2016 - International Film Festival of Wales, Cardiff. For details, CLICK HERE. 26th November 2016 - Birmingham Film Festival. For details, CLICK HERE. 12th November 2016 - Crystal Palace International Film Festival, London. For details, CLICK HERE. 6th November 2016 - Crossing the Screen International Film Festival, Eastbourne. For details, CLICK HERE. 4th-6th November 2016 - UK FILM FESTIVAL PREMIERE - Aesthetica Short Film Festival, York. Details, CLICK HERE. 26th-29th October 2016 - Impact Film Festival on Lung Health, Liverpool. For details, CLICK HERE. 7th & 9th October 2016 - WORLD PREMIERE - Vancouver International Film Festival. For details, CLICK HERE. The film's two stars are Lollie McKenzie and Henry Douthwaite. At just 12 years old, Lollie is a remarkable emerging talent. She played Matilda in the enormously well-received West End musical of the same name from September 2013 to September 2014. CATCH is Lollie's film debut. Henry trained at the London Academy of Music & Dramatic Art and has performed with the National Theatre and on the West End stage. On screen, he has appeared in programmes for the BBC, ITV and Channel 5, and he stars in the feature film Off-Piste. Paul, Dom, Alexa, Steve, Piers, Richard. Dom and Paul are factual TV producer-directors. Both received degrees in scientific fields before meeting at Imperial College London’s MSc programme for Science Media Production. They have each worked on some of the most popular science programmes on television today, including Hawking, Channel 4’s Experimental, Discovery’s Outrageous Acts of Science and BBC Horizon. The two writer-directors have previously collaborated on several short film projects that have been screened at Sheffield Doc/Fest and London Short Film Festival. They established BorderPoint Films in 2015. Alexa is a production manager at a leading independent production company in the UK, and has experience both in front of and behind the camera. Stephen is a producer at one of the most prestigious production companies in the UK, working on commercials, music videos and short films. Piers’ talent with the camera has seen him travel the world capturing extraordinary footage for primetime TV, commercials and film. He has worked as cinematographer and director of photography on productions for BBC Horizon, Discovery Channel and PBS Nova amongst many others. Richard is an Emmy and RTS award-winning script-editor, screenwriter and novelist, and worked with Paul and Dom to craft CATCH's narrative. Connect with the CATCH project. Email us for a download of the film - To screen it in a lecture, a classroom, or at an event. Or to say what you liked or disliked about it. We have loads of media resources for articles and events - high resolution stills, an EPK, videos, quotes, posters... Just ask! Here are a handful of our stills.